YAA is a charity made up of two helicopters with aircrew teams of advanced trauma paramedics and consultant doctors. 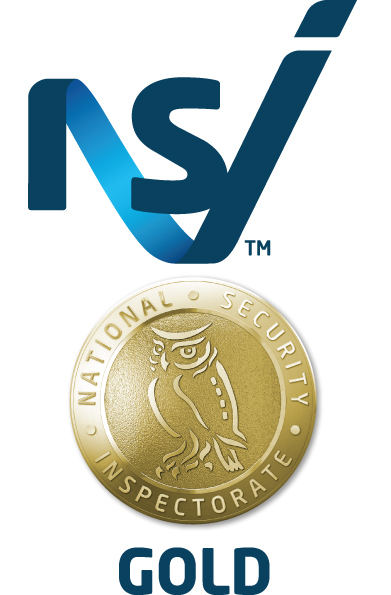 They provide rapid response emergency service to over 5 million people in Yorkshire, 365 days a year. If eachof Yorkshire’s 4.4 million adults donated just £1 a year this would cover the annual running costs of 4.4 million. The charity is funded entirely through voluntary donations. This year we have managed to raise over £700 through various fundraising activities. 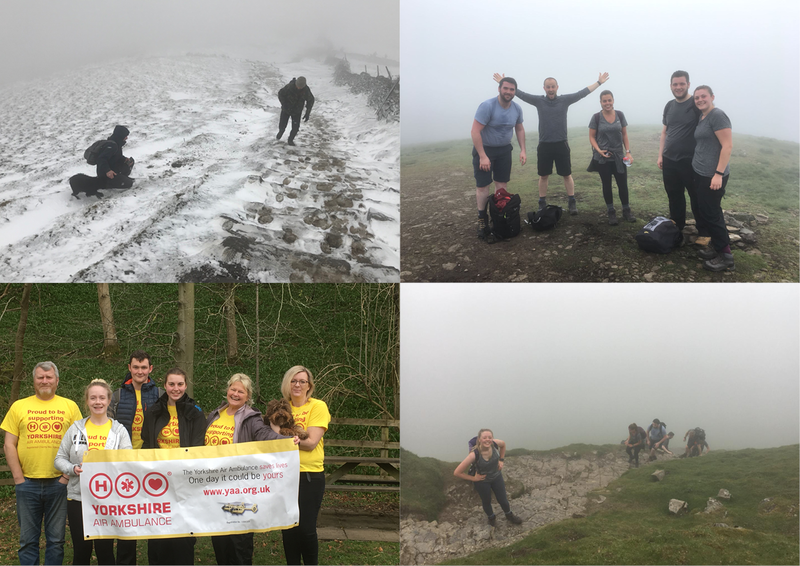 Earlier this year we took part in the Yorkshire Three Peaks challenge, which takes on the peaks of Pen-y-ghent, Whernside and Inglebroughin under 12 hours. The first attempt at this challenge had to be cancelled due to bad weather but we were back again in a few weeks’ time to complete the challenge! We also held a smaller walk in support of the challenge for those who couldn’t take part. Through out the year we have also been holding various bake sales (and yellow bake sales) and fundraising activities such as Guess how many sweets are in the jar, pin the tail on the helicopter and guess the staff member from the baby photo. 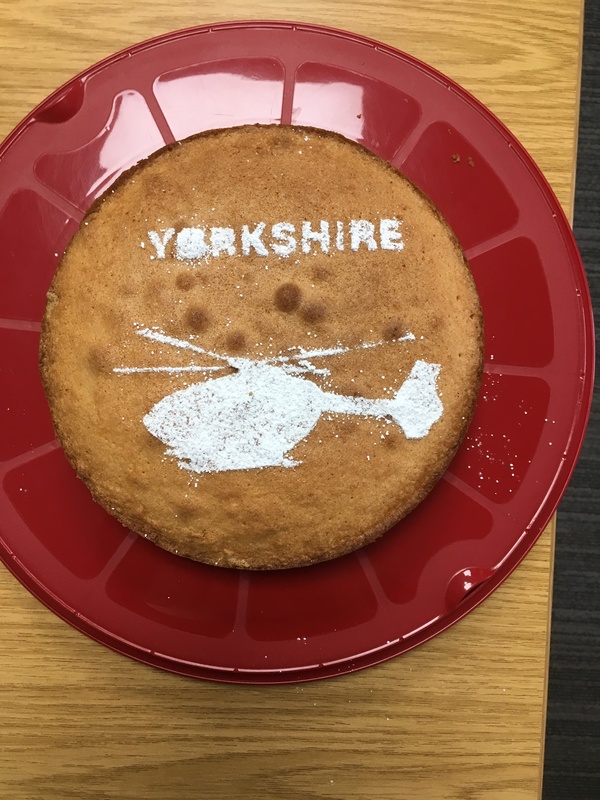 Rebecca (head of finance) did a fantastic job with the helicopter Victoria sponge! We’ve also been taking the heliteddy out and about around the country on our way to installs. It’s made it to Saddleworth moor, the top of the Yorkshire peaks, a ski park in Kent and a helicopter hanger. And lastly, our director Richard wore his YAA t-shirt to raise funds on holiday in Greece! If you would like to donate to our JustGiving page and help us raise a bit more before the end of the year, the link is here. 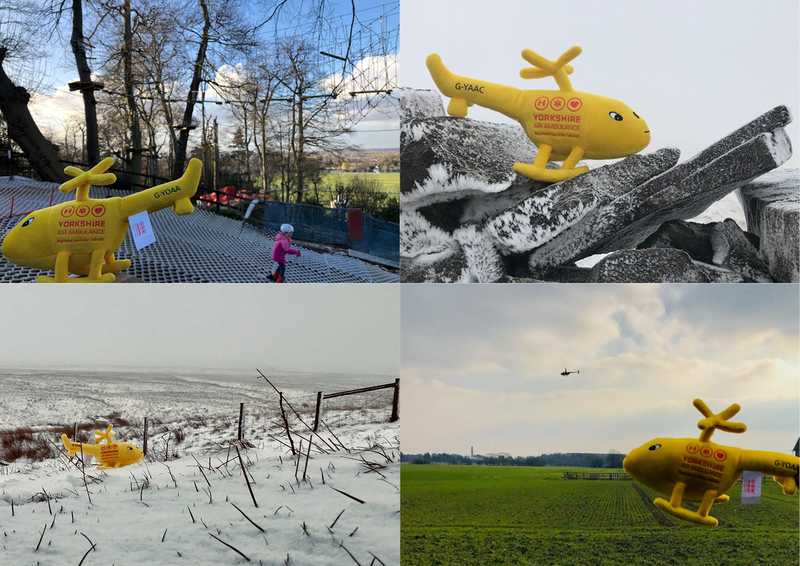 If you would like to find our more about the Yorkshire Air Ambulance and how you can get involved, the link to their website is here.